Architecture Firm: Mehrazan Tarh-e Imazh Co. 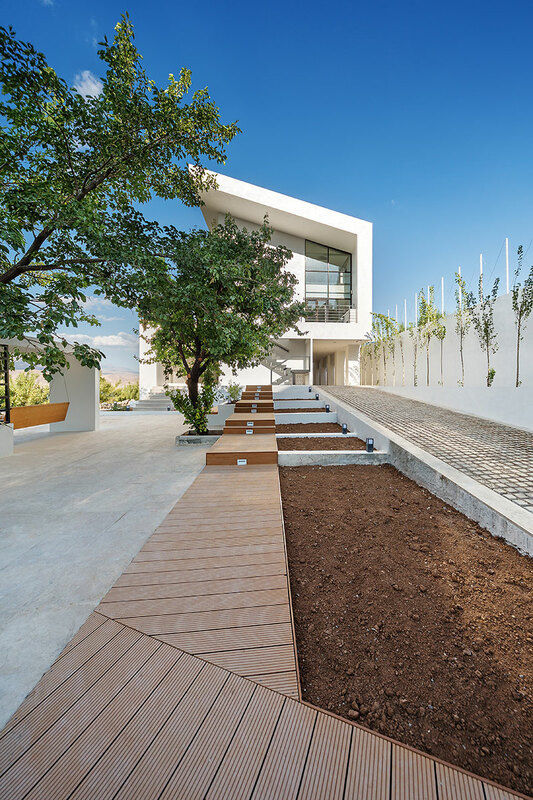 The R01 villa is an energy self-sufficient, two story building which is designed as a Family’s second house. 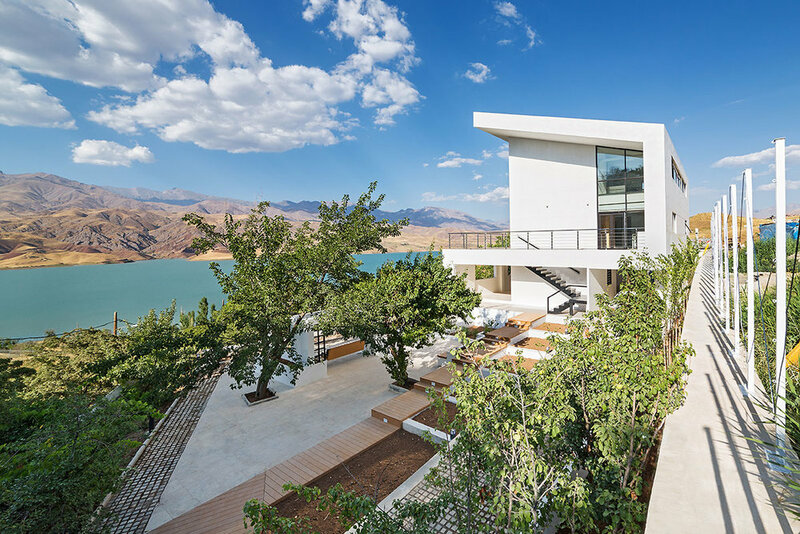 Simple but attractive spaces, Taleghan lake view from all around the villa, conformity with site, location and climate and using clean energy are the most discussed points of the house. Flexibility and simplicity are the main design policies of the project. The owner’s most wanted concept was to have a wide view over the lake which is located in the north of the site, to overcome the climate conditions and privacy: very cold weather in winter. Simple yet most sufficient methods have been chosen: the building has been designed as a big eye, facing the lake. 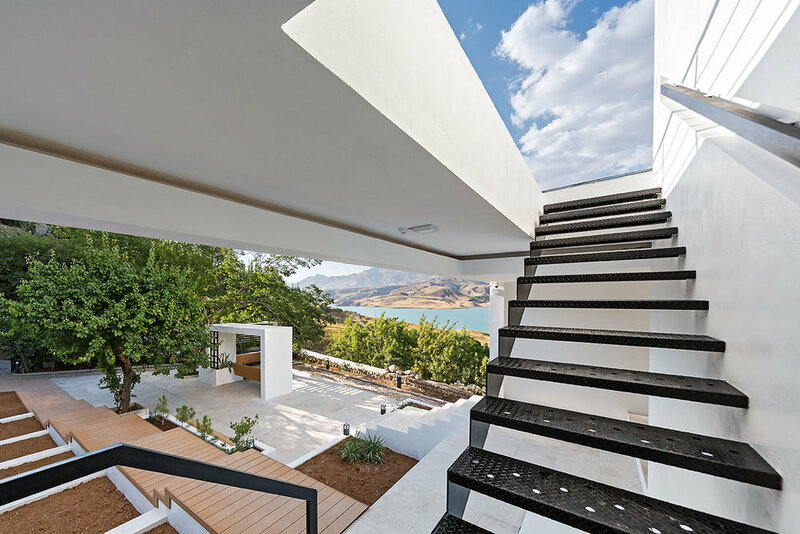 To achieve this, an opening has been added to the villa’s cubic form and the northern side is fully covered with glass. To overcome cold winters of the Taleghan area, floor heating system has been laid all over the place, even in the balcony. The southern wall hosts minimum possible number of windows in order to create maximum privacy for the residents. Increasing the inner privacy, poplar trees are planted to block the view from outside to inside. The site is located in a mountainous, sloped area, and the elevation code of the southern neighbor of the site is 4/50 meters higher than the site itself. On the other hand, a number of walnut trees are located on the northern border of the site. Having the trees blocking the view of the lake, the main story of the building has been lifted up to the southern neighbor’s elevation code. As the primary spaces are located on the first floor, secondary spaces -such as parking, sanitary and a guest suit- has been designed on the ground floor. The R01 villa is designed as a simple, minimal form with an optimized sloped roof to achieve the most solar energy. Using solar panels, the roof has to be sloped towards the south. Two different kinds of solar panels -photovoltaic and solar water heater- are used for this villa to make it self-sufficient for both electric and heating energy. In addition, the surplus electric energy is imported to the electricity grid, as the villa is not in use all the time. This is achieved using a combination of microgeneration technology and low-energy building techniques, such as: passive solar building design, insulation and careful site selection and placement. On the other hand, the building’s location in the site has been chosen based on the location of the trees in the site, in order to prevent cutting the trees during the construction. Another aspect of sustainability of the building is flexibility. 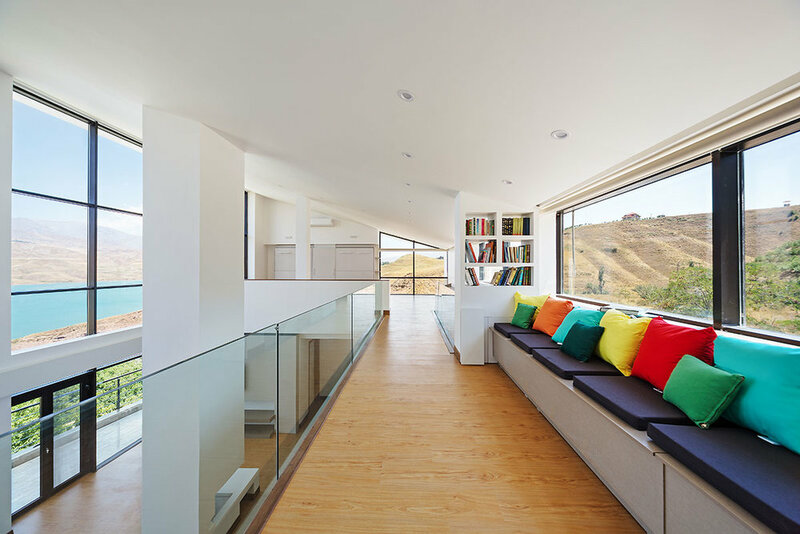 The versatility used in the design of the house, indicates the property of space that allows for multiple uses. Light weight and mobility have been manufactures in various forms using different materials and systems, such as extending furniture, in-wall-bed and partitions, etc.